At times it’s important to install a gate in order to provide an extra level of security and safety to those who enter your home or business, and we provide excellent gate installation and gate services to help you achieve that goal. 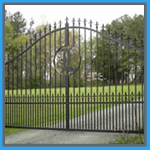 We offer a variety of gates for installation as well as troubleshoot problems with your existing gate. From swing gates, to security gates, to sliding gates, to fixing all of the related components, we do it all, so give us a call! 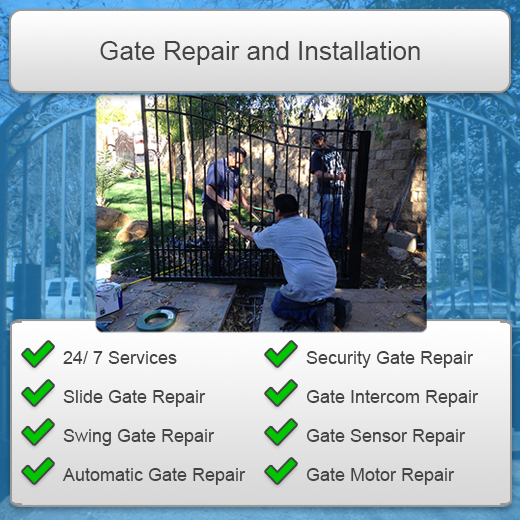 Gate Repair Aventura provides automatic gate installation and service for residential, ranch and commercial gates. Our technicians are 100% certified and trained to install any gate, replace/repair damaged parts, provide maintenance, and emergency services. Gate repair Aventura offers unbeatable value when it comes to sliding gates for residential or commercial use. Sliding gates offer protection for your home as well as your place of business, giving you the most comfort and security. 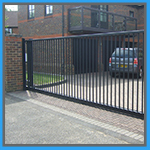 Sliding gates also require less space than a swing gate allowing the full use of the driveway for parking. Depending on your landscape, a sliding gate would work best on a upward slope compared to a swing gate that won’t clear your landscape. Call the experts today to assist you with the best set up for your home. With plenty of beautiful and elegant styles to choose from, a swing gate would be another great option available to you. Swing gate systems operate with a keypad and safety sensors that close your gate after your vehicle has passed through. 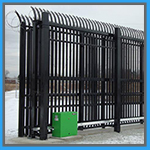 We carry single or bi-parting swing gates with a variety of top of the line brands. For a clean well designed appearance, give us a call today and we will send out a technician for a completely free estimate! Alarm systems and surveillance cameras are great if are part of a extensive security strategy. But on their own, all they offer is a false sense of security because if your alarm goes off it’s already too late. Someone is in your home or place of business and chances are they’ll be gone before the police arrive. When making a real investment in the security and safety of your property, consider genuine wrought iron fencing, gates and railing. No matter what your preference might be Local Garage Door Repair Aventura has got you covered. 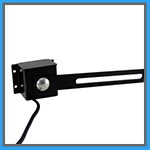 Gate sensors provide a supplemented security feature. Quick and responsive alert settings that will detect any intruder from entering your property and provide you with the security and comfort you deserve. We hold proudly the reputation of exceptional service and our long list of satisfied customers proves it. 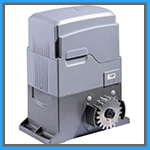 Your decision of a gate opener is an important one in considering an automatic gate. 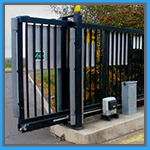 It is crucial that you choose wisely so your gate will be safe, UL approved, durable and carry a good warranty. When deciding on a gate operator you will want to consider quality, warranty, installers’ assessment, safety and overall ownership cost. We will assist you regarding the safety measures you need to consider and recommend convenient accessories such as gate monitoring. There are also other additional features that are as important like a battery backup systems, fire department access device, underground sensors and more. Whether your motor is damaged or you don’t have one, we’re the ones to call. 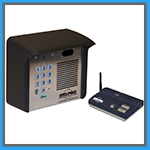 A gate intercom system is very handy when you want to keep your entire property secure. Your choice of an Intercom System will depend on the requirements of your property and your choice to go with Local Garage Door Repair Aventura! An intercom is an easy and effective way to control the opening and closing of your gate. Everything is controlled remotely or automatically. It makes the use of your gate convenient and easy. Intercom installation can be done by our expert gate repair technicians at your convenience. In fact, we can install both gates and intercoms, so that you can ensure that the gate and intercom will work in harmony. We guarantee top work and you can count on our experts being there for you if anything should go bad with the intercom. Intercom repair is our job. Contact us anytime!